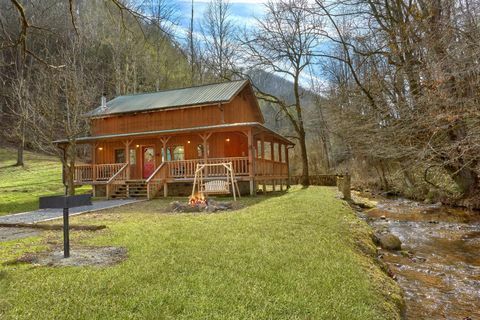 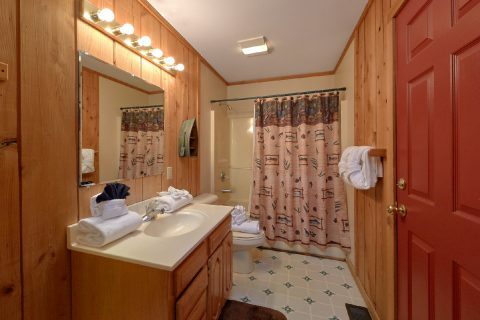 "A Creekside Retreat" is a comfortable 2 bedroom cabin in the Caney Creek road area of Pigeon Forge that boasts a lovely location along a Smoky Mountain stream. 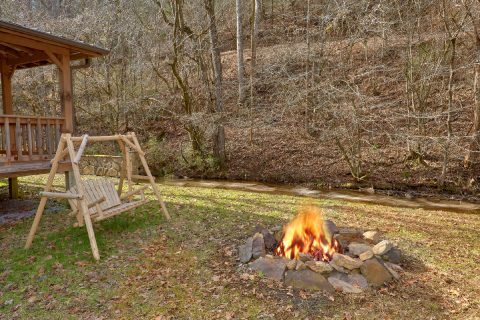 Not only does this rental boast a nice spot by a creek, but it's also only 2 miles away from Downtown Pigeon Forge and only 7 miles away from Downtown Gatlinburg. 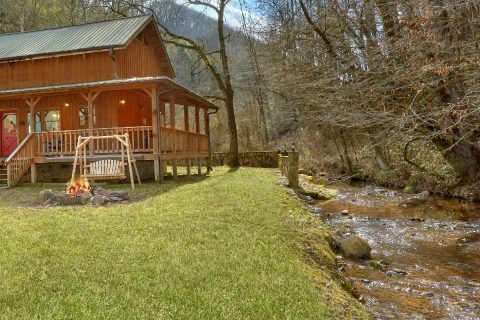 As a result, guests of "A Creekside Retreat" can enjoy quick access to exciting attractions like Dollywood, Anakeesta, and The Great Smoky Mountains National Park. 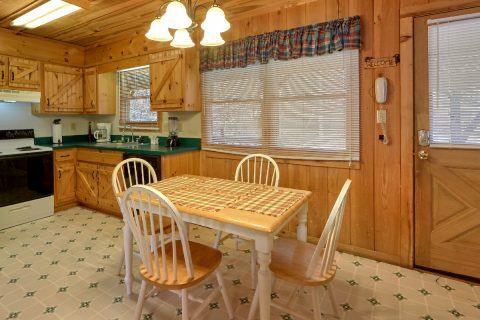 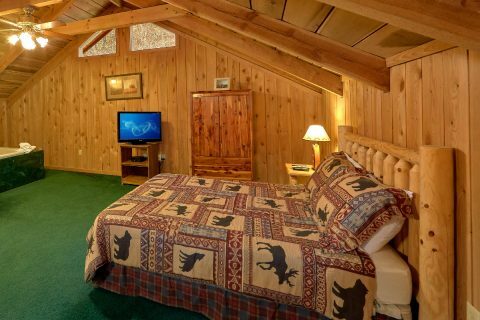 When you aren't busy riding roller coasters at Dollywood or strolling through Downtown Gatlinburg, you'll love relaxing at your cabin with friends and family. 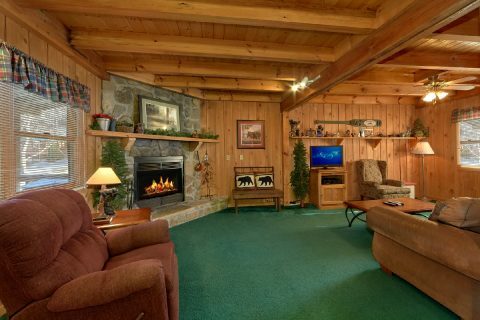 In the cozy living room area, you can enjoy a laid back movie night while you relax by the gas fireplace. 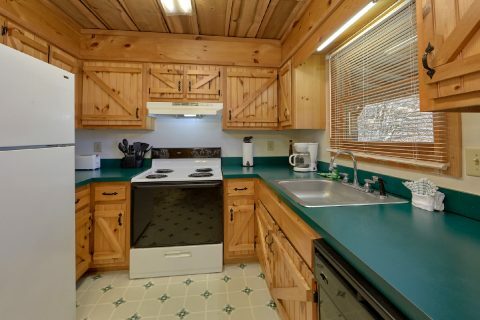 Nearby, your cabin's full kitchen gives you the option of making cost-effective meals in the comfort of your rental. 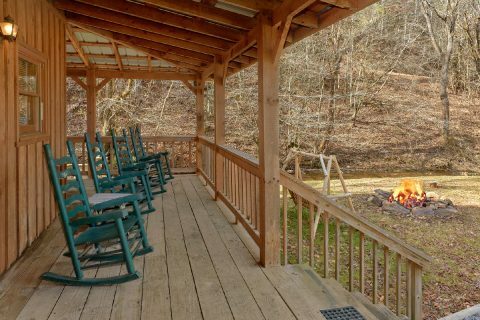 Additionally, this cabin's yard also provides a fire pit, charcoal grill, and a picnic table, so it's perfect for hosting a summer cookout. 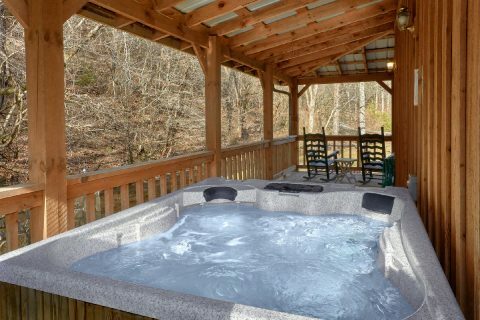 Your cabin's deck is also the perfect place to take in your cabin's forested location, where you can sit out on a rocking chair or take a soothing dip in the hot tub. 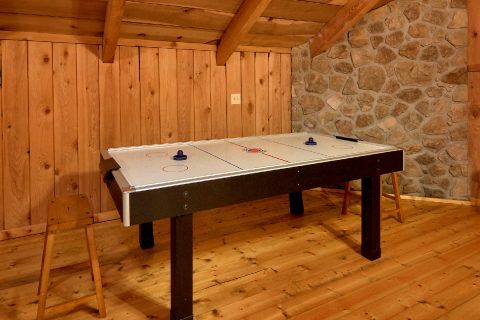 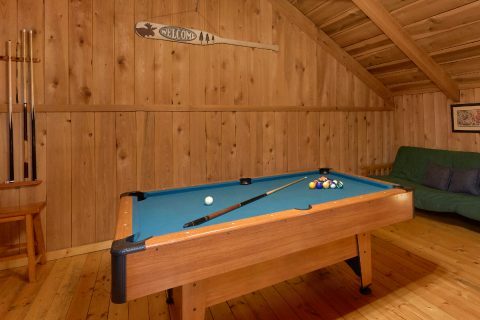 For even more entertainment, you can go upstairs to your cabin's game room that comes complete with a pool table and an air hockey table. 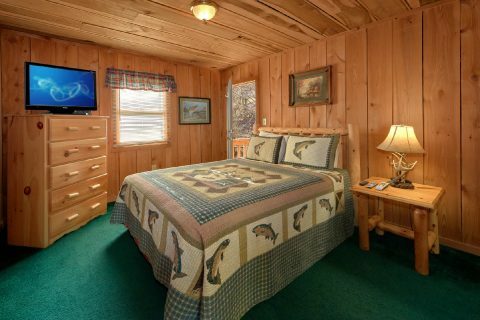 For staying well-rested during your stay, this cabin provides 2 queen size bedrooms. 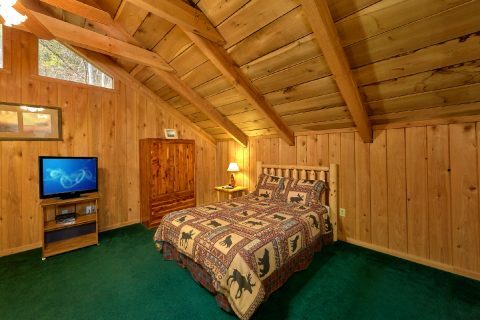 One bedroom is located on the main level and features a television with a DVD player. 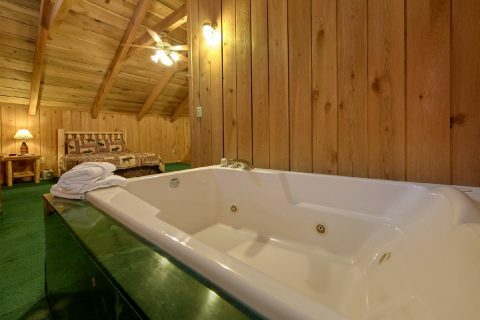 Upstairs, you'll find the other queen bed in the loft near the game area with a jacuzzi tub and a full bathroom. 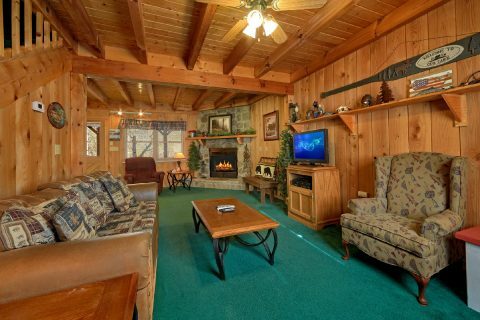 Lastly, this cabin provides a sleeper sofa in the living area and a futon upstairs to accommodate up to 8 guests in comfort. 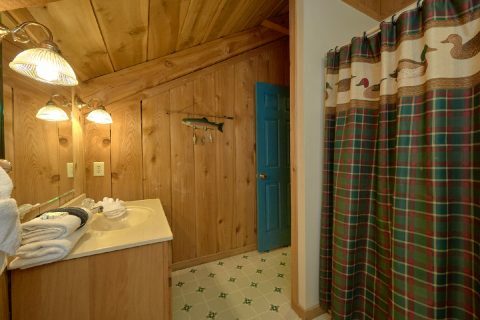 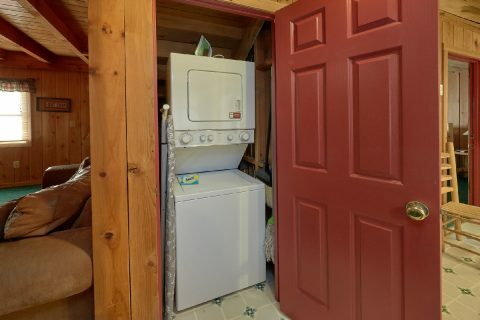 Lastly, this cabin provides useful amenities like Wireless Internet Access and a washer/dryer to use during your vacation. 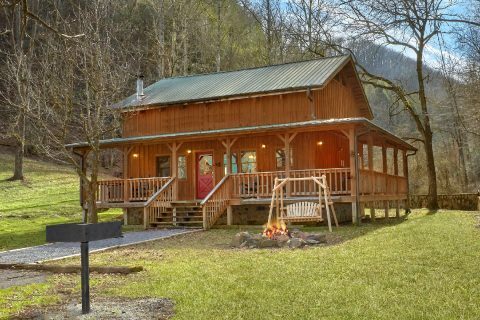 Book this affordable cabin online with Cabins USA Gatlinburg to save 15% on your nightly rate in the Great Smoky Mountains of Tennessee!